Since the 1970s, coyotes have come bounding across the eastern United States and Canada in increasing numbers, prompting concerns about the survival of deer and other prey. But the canine predators shouldn't be viewed as a worrisome threat to wildlife, according to ecologists at Pennsylvania State University. In a recent study published in the Journal Of Wildlife Management, the researchers reviewed reports of coyote and deer populations in eastern North America. The scientists found that coyotes -- even at their most voracious -- don't eat enough deer to cause populations to decline. Instead, if human hunters killed fewer deer, this would "offset mortality from natural predators," says Duane Diefenbach, a wildlife ecologist and an author of the study, in a statement. 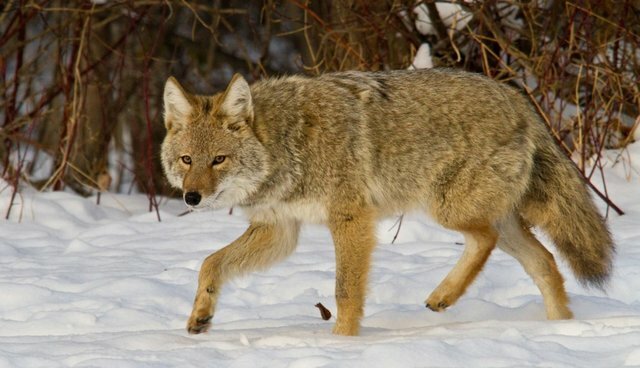 Shifting the focus from coyotes to human hunters would also likely prove more effective. When the Pennsylvania House of Representatives passed a bill that would put a $25 bounty on coyotes, the Pennsylvania Game Commission responded by writing on its website: "No measurable good ever resulted from the Game Commission's predator bounties in the 1900s. They truly were a waste of money." Although coyotes -- including the larger, wolf-coyote hybrids in the eastern U.S. -- rely on young deer as a main source of food, enough fawns survive to keep populations healthy. "There is little evidence to date that the increase in coyote predation could create a crisis," Diefenbach says, that could not be solved with fewer deer hunts.